We all remember Socks the cat and Buddy the dog of the Bill Clinton Administration. And Barack Obama's lovable pets who lived in the White House, two Portuguese Water Dogs named Bo and Sunny. Do you remember George W. Bush and Laura Bush's Scottish Terriers Barney and Miss Beazley? Franklin D. Roosevelt also had a Scottish Terrier named Fala. Or what about Richard Nixon and First Lady Pat Nixon's Cocker Spaniel Checkers? Nobody will forget the Golden Retriever Liberty owned by Gerald Ford. Now everyone wants Trump and the first family to get a dog, too... dogs are obviously the most common presidential pet today. But back in the day, it was apparently acceptable to own bears. Here are nine of the strangest pets owned by former presidents of the United States of America. Calvin Coolidge and the great George Washington had donkeys on the White House grounds. George Washington's donkey was named Royal Gift and Coolidge's was named Ebeneezer. Owning Coonhounds isn't that rare, but naming them Drunkard, Taster, Tipler, and Tipsy is. Those were the names of George Washington's hounds. President James Buchanan had an eagle-- pretty appropriate for POTUS. A strange pet indeed, John Quincy Adams and Herbert Hoover owned alligators while in office. They weren't named. A whopping three former presidents of the United States owned bears. 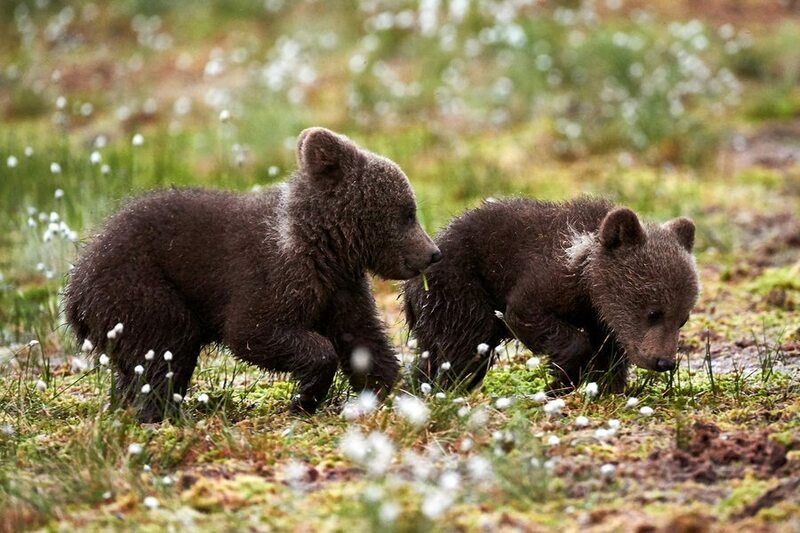 Theodore Roosevelt and Calvin Coolidge each had one while Thomas Jefferson had two bear cubs. Roosevelt apparently had quite the menagerie, including a hyena. Andrew Johnson had a soft spot for the mice he would find in the White House, which he would feed. William Mckinley and Theodore Roosevelt each had a rooster, but Roosevelt's only had one leg. I think Roosevelt wins with having the oddest first pets in the White House. He had close to 40 animals with entertaining names, like the ones for his guinea pigs: Admiral Dewey, Bishop Doane, Dr. Johnson, Father O'Grady, and Fighting Bob Evans. What do you think about these odd pets? Tell us in the comments below.